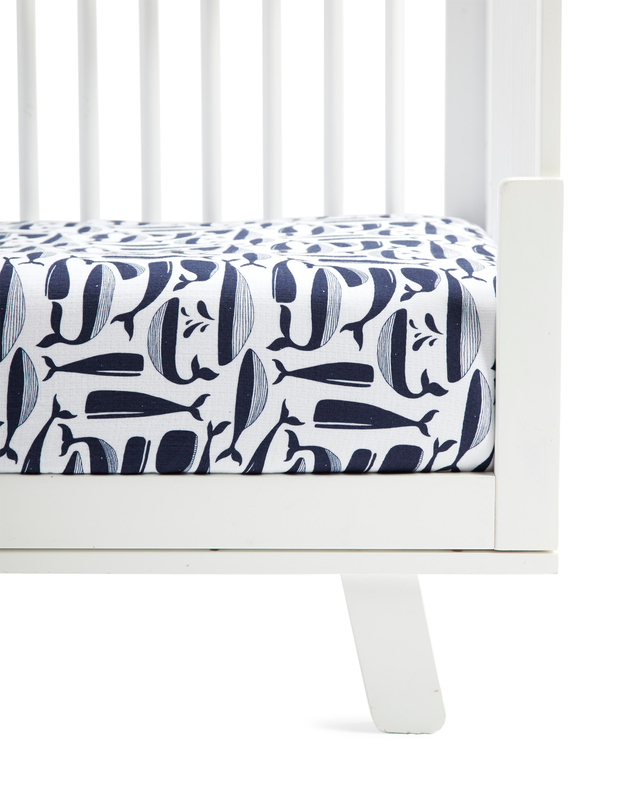 Melville Crib SheetMelville Crib Sheet, alt="Melville Crib Sheet, "
Print To make our crib sheets extra soft and special, we worked with some of the very best textile artisans in Portugal to develop our very own cotton muslin. Far from ordinary, our muslin is triple-layered for a bit of loft, breathable to keep baby comfortable through the night, and specially washed for a relaxed and rumpled look. It’s also Oeko-tex certified, which means it’s woven from only the purest materials to keep your little one away from harmful toxins. The blue-and-white palette is classic, clean, and elevates the whimsical motif. We designed this pattern ourselves for a unique look you won’t find anywhere else.